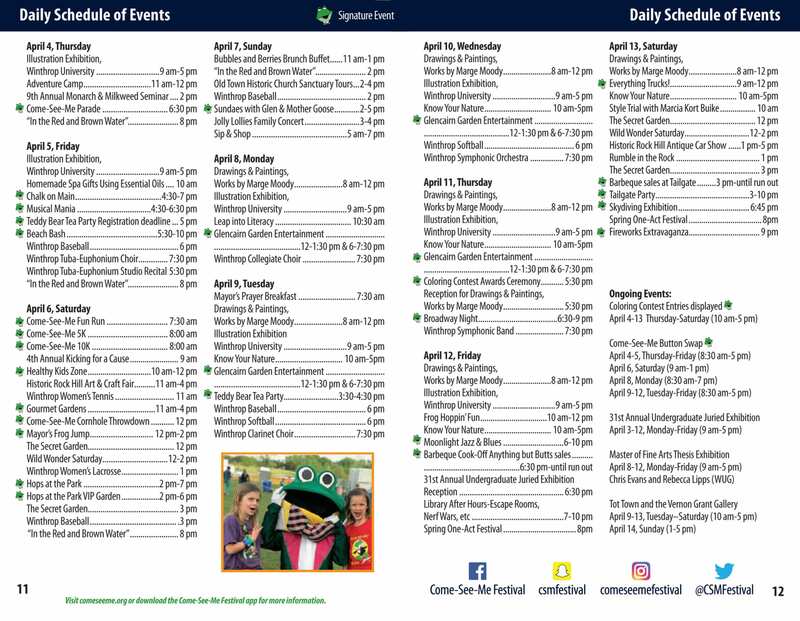 Make Plans Now for a Full Week of Come-See-Me Festival Fun! The 2018 Come-See-Me Festival is in full swing and we hope you’ve been able to get out and enjoy all the beautiful sights and fun times so far. The good news is that there’s so much more to come! Take a look at everything that’s going on this week around Rock Hill. Enjoy the beauty of Glencairn Gardens while taking in some of the best entertainment around. Music and activities will be happening during lunchtime and the evenings Monday through Thursday. The Teddy Bear Tea Party is Tuesday at Winthrop University. We hope you signed up your little ones for this memorable event! Thursday brings two of the most-anticipated festival events. Check out work by artists of all ages at the Coloring Contest Awards Ceremony. This year’s ceremony will be held at the Upper Palmetto YMCA on Charlotte Avenue. Afterwards, catch amazing talent at Broadway Night at Castle Heights Middle School. Spend your Friday evening at Winthrop Lake taking in the smooth sounds of Moonlight Jazz & Blues while enjoying delicious tastes at the Barbeque Cook-Off’s Anything But Butts contest. The last day of the festival kicks off with Everything Trucks! This impressive display of vehicles is fun for kids of all ages, so head out to First Baptist Church on Saturday, April 21. 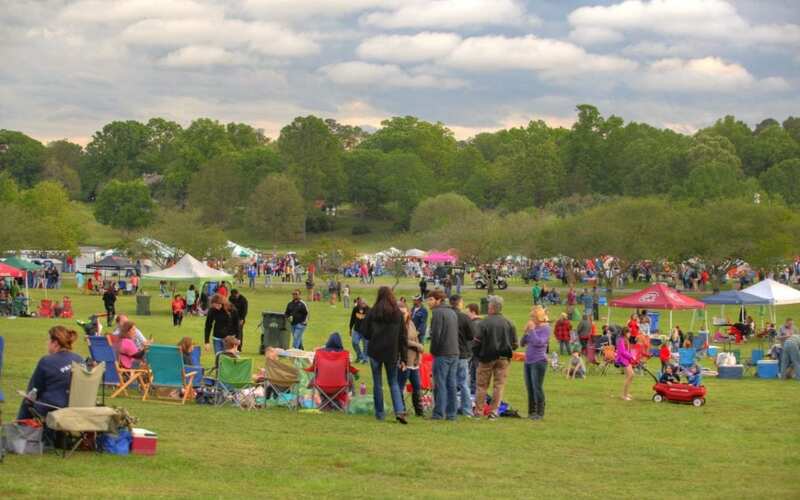 Later that evening, bring your friends and family out to Winthrop Lake for the Barbeque Cook-Off, then stay for the Tailgate Party and Fireworks Extravaganza. To stay up-to-date on weather information and other changes to the festival schedule, check out our social media feeds. Or, download the Come-See-Me Festival app. Be sure to enable notifications within the app so you can get all the latest updates. Make plans to join us for any or all of these fantastic events!